Ukraine legend Andrey Shevchenko says he is relishing the prospect of Gareth Bale being in the spotlight at the Euro 2016 finals in France. Shevchenko, the leading goalscorer in Ukraine history, believes the Wales talisman will be on the appropriate stage among Europe's elite. 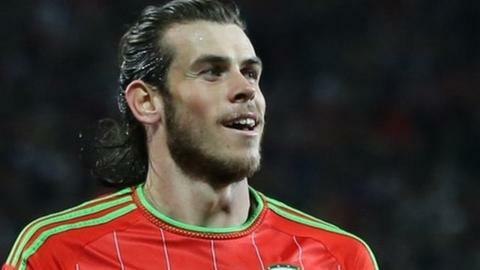 Bale was missing for Wales' 1-0 defeat by Ukraine at Kiev's Olympic Stadium on Monday night. But Shevchenko says Bale being in France will be "great for everyone". Wales legends Ian Rush, Mark Hughes, Ryan Giggs and Neville Southall were among generations of players who did not play at a major tournament. But Real Madrid star Bale will be there and Shevchenko, who is assistant to Ukraine coach Mykhalo Fomenko, said: ''If a great player plays in a big competition it is great for everyone. Former Chelsea and AC Milan star Shevchenko helped inspire Ukraine to reach the 2006 World Cup finals and played a part when they hosted Euro 2012. He has been tracking the progress of Wales, who under manager Chris Coleman, have qualified for a major tournament finals for the first time since the 1958 World Cup. ''I wish Wales very well. Of course I want Ukraine to do well. But I have been following Wales a little bit," he said. Ukraine will be in Euro 2016 Group C with Germany, Poland and Northern Ireland. They kick off against Germany, in Lille, on 12 June. Andriy Yarmolenko, who is the second highest Ukraine goalscorer, scored his 23rd international goal to give his side victory over Wales, who face Slovakia, England and Russia in France. Shevchenko was happy with the Ukraine victory at the stadium which staged the 2012 final, but is aware Wales will be a different proposition at the Euro 2016 finals when Bale and Arsenal's Aaron Ramsey are in action. ''The coach [Chris Coleman] missed them, but it was good for us,'' said former Chelsea player Shevchenko.